The Tigris River gave rise to the world's first settlements and soon its waters will submerge some of their remnants as plans move forward to construct a hydroelectric dam that will flood a large tract of Mesopotamia in southeastern Turkey. Through a project decades in the making, Turkish officials say the 1,200-megawatt Ilisu Dam will provide much-need electricity and irrigation to the region, yet opponents have decried the loss of ancient sites, such as Hasankeyf, upon the dam's completion. With traces of human civilization dating back to 10,000 B.C., Hasankeyf is one of oldest continuously inhabited settlements in the world, bearing the imprints of more than 20 civilizations. Located on the banks of the Tigris, its steep, limestone cliffs house clusters of Neolithic-era caves topped with a Roman fortress amid Artuqid and Ottoman landmarks. Until recently, this visual stratification of history continued to draw tourists, but the site has been closed off for more than a year and, last week, crews began dynamiting cliffs near Hasankeyf to prepare the area for flooding as dam construction nears its final phase. While condemnation from local and international communities has long stalled the project, the efforts ultimately failed to halt dam construction. Upon seeing the dynamite crews at work, Mehmet Ali Aslan, an MP for the city of Batman for the Peoples' Democratic Party (HDP), single-handedly began a protest to stop the demolition. "When I first watched those videos, I couldn't believe it," Aslan told DW. "I thought of IS bombing Palmyra or the Taliban bombing Buddhist statues. When historical sites are attacked like this, I believe it's a terrorist act." In what he claims was a spontaneous act, Aslan chained himself to a rock in the Hasankeyf Valley and forced crews to temporarily stop demolition work. State-run media reported the dynamiting was needed to clear potentially hazardous rocks. Aslan rejected the claim, saying that filling valleys with debris from historical sites was not only cruel, but served as a cheap way for construction companies to manage the water reservoir which will soon inundate the area. Aslan has since ended his protest, but said he would return with more people if dynamite crews resumed their activities. In response to criticism, state officials have said the future reservoir will spur new opportunities for tourism in the area, including scuba diving excursions to submerged monuments. Officials with Turkey's Ministry of Forestry and Water Affairs and Ministry of Culture and Tourism did not respond to interview requests before the publication of this article. 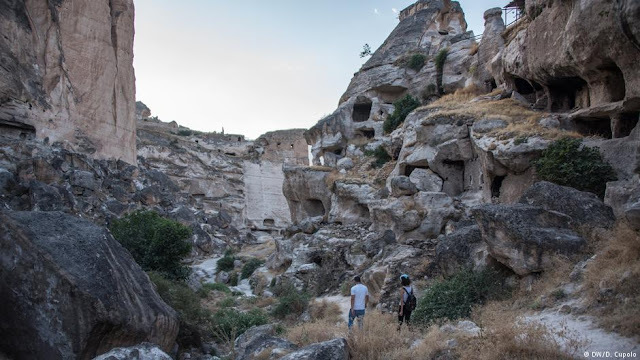 Ridvan Ayhan, a member of the Save Hasankeyf Initiative who witnessed the dynamite crews in action, said he was most frustrated by shortsighted planning of the project. Upon completion, the Ilisu Dam is expected to be operational for 50-70 years before being decommissioned. In Ayhan's view, the short-term gains in energy production do not justify the destruction of a 12,000-year-old settlement. "People that don't have a past cannot determine their future," Ayhan told DW. "They are not only destroying our past, but also our future by taking away this as a source of income and heritage." "We would like to apologize to the future generations for allowing this," he added. When the area is flooded, a total of 199 settlements will be submerged and 15,000 people will be relocated to the recently built city of "New Hasankeyf" on higher ground. Ayhan said he believes the undertaking is a political decision to displace villagers suspected of aiding Kurdish guerillas in the region. The creation of a reservoir would not only inhibit the local movement of militants with the Kurdistan Workers' Party (PKK), a terrorist organization outlawed by the Turkish government, but would also deny them access to critical provisions and intelligence from a network of rural villages. 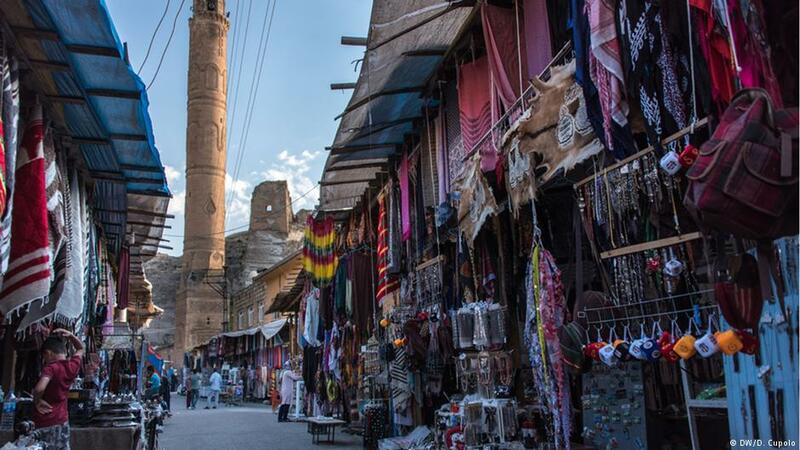 Throughout the Hasankeyf debate, the international community's main advocate for the preservation of world heritage, UNESCO, has remained largely silent. This is because state governments must submit individual historical areas to UNESCO for them to be included on the organization's list of world heritage sites. As plans for the Ilisu Dam have been on drawing boards since the 1950s, the Turkish government never formally requested such recognition for Hasankeyf. "UNESCO is not mandated to pass judgment on the internal affairs of its member states," wrote Roni Amelan, a UNESCO press officer, in an email. "Since the site [is not] on the World Heritage List, we must regard its management as an internal issue." 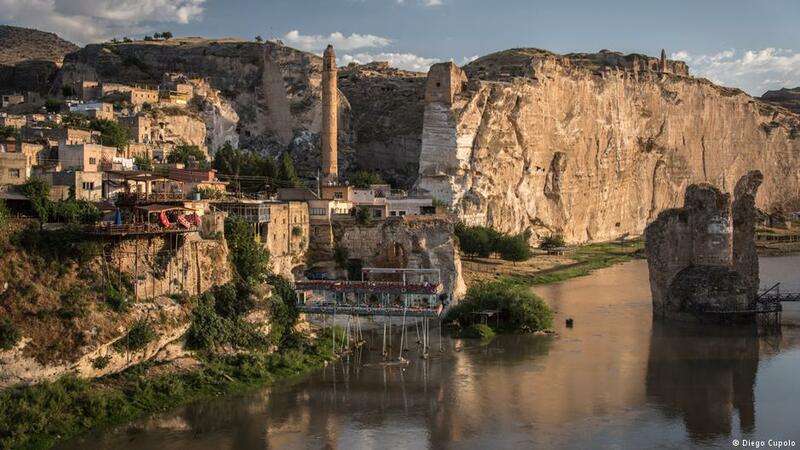 Critics have lamented the inaction of UNESCO officials, saying their refusal to speak on Hasankeyf undermines the organization's credibility. Ali, a Kurdish archeologist who gave an alias out of fear of losing his job, has also faulted local populations for allowing dam construction to proceed. "There was a strong protest movement until five to 10 years ago," Ali told DW. "Now people are more preoccupied with the war in Syria and Turkey's political situation, so questions of our historical heritage get less attention." Though one significant tomb was moved for preservation purposes, Ali said much of the Turkey's population does not see the value in historical monuments. "They don't have the vision to use them in a more economically effective way," Ali said. "We could have sites like Machu Picchu or the pyramids in Egypt. We could have our own tourist attractions, but [the government] doesn't care about heritage east of Ankara."